Standing water comes from many sources. It causes damage to sidewalks, driveways, and foundations not to mention plants, trees, and grass. Does the side of your house flood because your neighbor doesn’t have gutters, or does your sidewalk turn into a moat after a heavy rain, or worst of all, does water seep into your foundation and duct work after a thunderstorm. Theses are just a few of the Drainage Problems that CMG can help with. CMG can design a Drainage System to fit your specific needs. 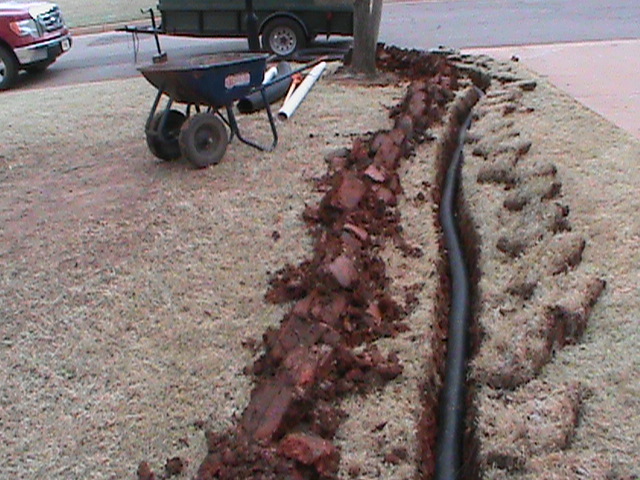 We install many types of Drains to solve many types of problems. 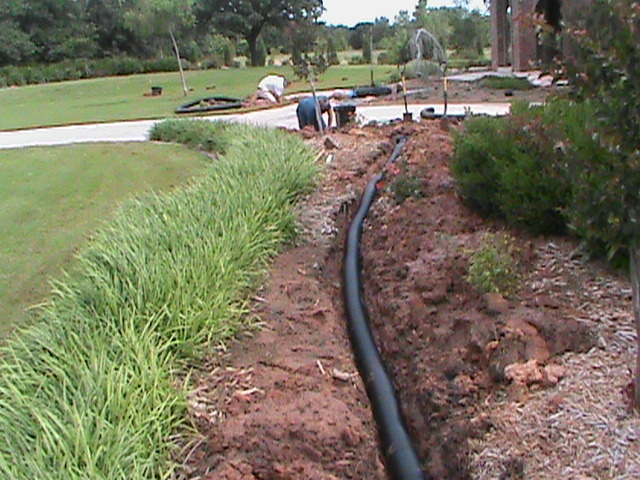 CMG utilizes: French Drains, Surface Drains, Channel Drains, Basement Drains, Trench Drains, Basin Drains, and Sump Pumps. 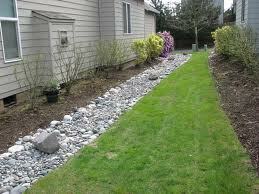 A French Drain is designed to handle a large volume of water and cover a large area. The Drain is anyplace the trench goes. It has many applications and can be used in many situations. It can be installed by itself or incorporated into a Drainage System with Surface Drains or Gutter Down-Spouts connected to it. 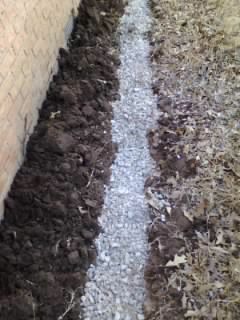 The main downfall of a French Drain is that they, for the most part aren’t very pretty. They don’t look very nice in a yard once they are completed.Depending on the area the French Drain is installed and the type of grass around the French Drain, will dictate whether grass grows over the lime stone. Grass can grow up and through the gravel in the French Drainover time eventually covering the gravel. This is Ok. 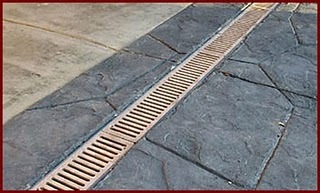 It won’t have a measurable effect on the performance of the drain.DONT COVER THE GRAVEL IN THE FRENCH DRAINWITH DIRT. THE FRENCH DRAIN WON’T WORK IF THE TRENCH IS CLOGGED WITH DIRT. DON’T EVEN INSTALL IT IF YOU ARE GOING TO COVER IT UP WITH DIRT.